Designs, engineers and manufactures a complete range of Intrinsically Safe products that are delivered to customers worldwide since 1993. GMI is a course promoter of the TÜV Rheinland Functional Safety Program for Safety Instrumented Systems (SIS) trainings. A wide range of products for any application. 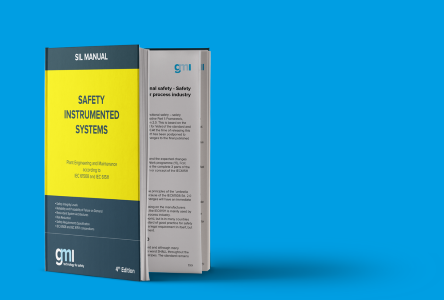 The SIL Manual is a practical aid for the analysis, installation and maintenance of safety instrumented systems. A compendium to IEC 61508 Ed.2 and IEC 61511 Ed. 2 standards and a guide for understanding and implementing safety procedures into practical applications.